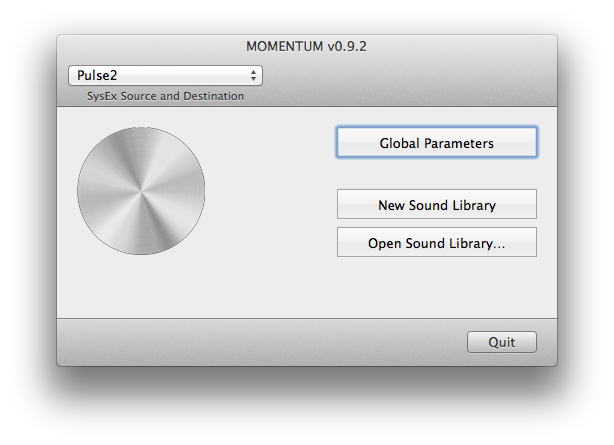 MOMENTUM is a MacOS X system exclusive messages based sound editor for Waldorf's Pulse2 Synthesizer. Each and every parameters can be edited, and a program bank manager is included with drag&drop support. A sound bank can be opened, for instance "Pulse2 factory 09.09.13.mid" and all sounds can be dumped to the Pulse2 afterwards. A new sound library can be set up. 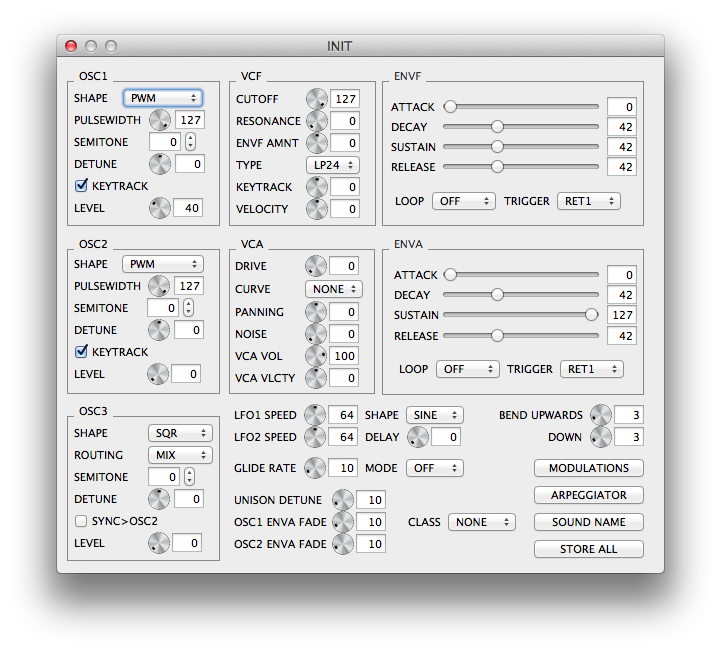 Individual slots in the sound library can be initialized. Sounds can be drag&dropped from the Sound Library to the Pulse2. 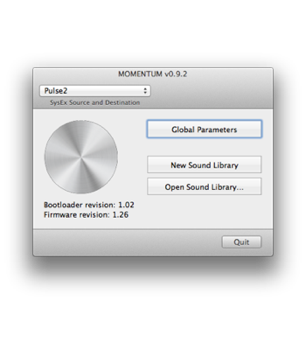 Sounds can be drag&dropped from the Pulse2 to the Finder. Sounds can be drag&dropped from the Finder to the Sound Library (this is not working in MacOS X 10.6, use the import button instead). 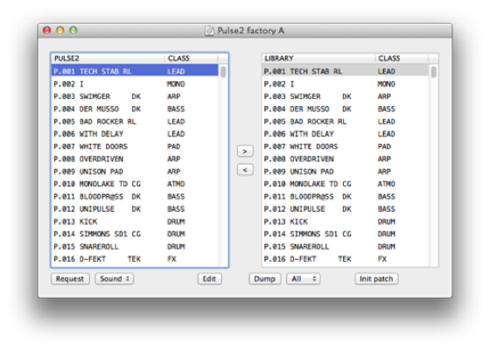 The Pulse2 table can be updated by selecting either "Request all sounds" or "Request Sound" (for the current selected row). 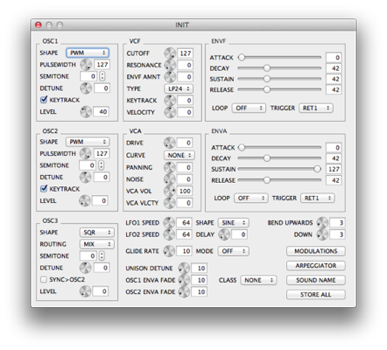 Double-clicking on a selected row opens a window for editing a Sound Program.